North Carolinians can help make scientific history and advance cancer research by enrolling in the groundbreaking new UNC Health Registry funded by the University Cancer Research Fund. In doing so, they’ll be part of a whole new research effort aimed at determining how best to treat and support those with cancer. There are a lot of things that physicians still don’t know about cancer, a category that encompasses a wide range of diseases with different causes and treatments. They would like to know why some patients respond to therapies better than others, why certain individuals experience debilitating side effects from treatment while others don’t, why there are ethnic disparities in cancer outcomes, and how cancer treatment affects a patient’s quality of life over time. The UNC Health Registry is a far-reaching initiative that aims to answer these questions. The project will advance cancer research, prevention, treatment and care, and also seeks to reduce health disparities among North Carolinians. The study will enroll 10,000 English- and Spanish-speaking North Carolinians who come to UNC for cancer evaluation and care. 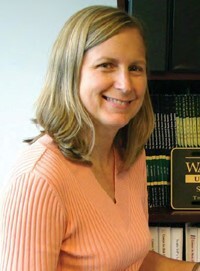 “The Registry is a chance for researchers to learn about ways to improve treatment outcomes as well as the quality of life of cancer patients and their families,” says Jeannette T. Bensen, PhD, research assistant professor of epidemiology at the UNC Gillings School of Global Public Health and Lineberger Comprehensive Cancer Center member. She is leading the project, along with an interdisciplinary group of investigators. Bensen says she hopes that patients will understand the importance of their participation in this initiative because the questions it can answer will help change the course of cancer care.